What is the Affiliate Program… You Ask? It’s a way for you to “Earn Rewards” that can turn into “$$$” … Just for “Taking Pictures”. We are looking to build our Pingster user base both individual and business profiles. Businesses are busy, focusing on the day-to-day activities of their brick and mortar stores and do not usually have time to participate in social media engagement. Geotag images of your favorite business establishments. 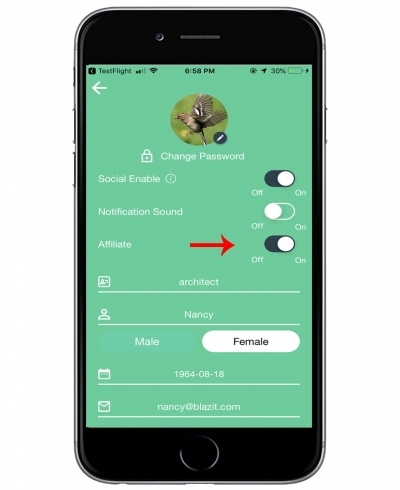 Assist in building a profile to make them standout in a whole new visible way. Help us build our Pingster Image Cloud, becoming an influencer using “GPS Power” instead of “Star Power”. How is Pingster Different Than The Competition? Most GPS mobile apps deliver advance search results, based on text descriptions and an existing idea. 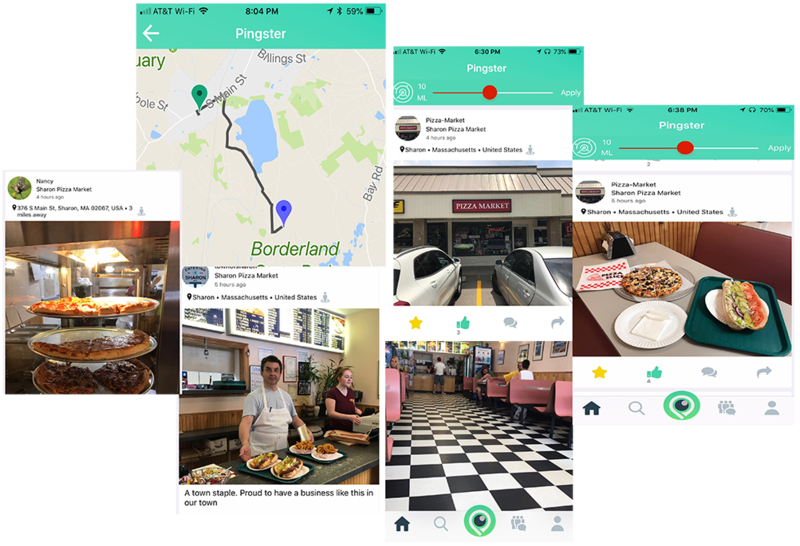 Pingster’s Geotag Photo Sharing Platform connects consumers directly to businesses, using an advanced search that delivers visual imagery rather than having to type in text. 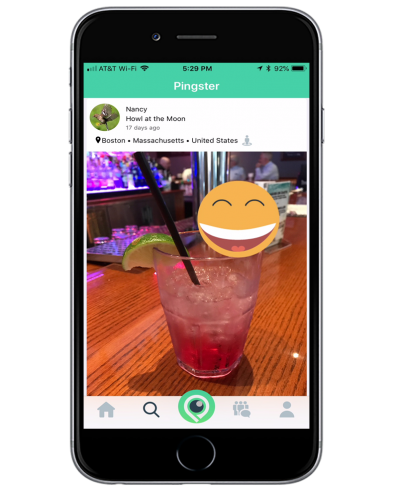 Pingster offers people the ability to connect with imagery, discover and explore thru GPS. Our technology connects mobile devices to stored geotagged images in the cloud. Images that are shared by other Pingster users. Download Pingster and create a profile. It’s Free! Turn on the “Affiliate Feature” in your profile settings. Take pictures at local restaurants, tourist attractions, and your favorite community businesses. Create your own “Virtual Scrapbook” that records the places that are special to you. Upload an image along with a text description to give the image some story text. An unclaimed Image Business Profile will automatically generate on Pingster using some or all of your images. These Geotagged pictures will then display in nearby user cell phones and may qualify as a link in our Affiliate Program. Become a business influencer on Pingster and down the road any business that uses our digital advertising services and who still has links to an affiliate image you created, will generate sales commissions for you. Our team will work with you to assist in setting up your business profile – If you are a business and want to try out this new social media photosharing platform and need help getting started contact us. There is NO COST TO CREATE AN ACCOUNT AND USE PINGSTER. Pingster™ will assist you in getting your unclaimed business profiles set up. To increase foot traffic to your store doors, we suggest businesses offer discount/coupons to our viewing user base. This can be done by simply uploading image incentives into your “Business Profile” automatically view able in the Pingster image feeds. In downtown’s throughout this country, whether you are in New York City or in Kansas City you see a troubling site, stores out of business. The convenience of online shopping has adversely affected the brick and mortar business. Pingster promises to be a new tool to highlight existing brick and mortar stores, that will bring consumers back into their establishments. In the future, Pingster will offer optional advertising services to grow your business with sales conversions. Examples of the types of Brick and Mortar businesses, Restaurants, Sports Activities, Retail, Entertainment, Services and Events. The goal is to increase your discovery of new, cool places at the same time offering local business discounts and bargains. To claim an unclaimed business profile download the app to register. The goal is increasing foot traffic and sales into your brick and mortar locations and to increase the user base for Pingster™.